The Hardin-Simmons University Women’s Soccer Prep Camp is for all girls who want to play at the collegiate level. It is a 3-day soccer clinic from July 28 to July 30. The camp will be a challenging, high-level, and enjoyable experience. It will feature sessions that focus on developing the participants’ technical and tactical abilities. The training program also includes small-sided and full-sided matches that will allow outstanding players to showcase their skills. In addition, there will be a special program for goalkeepers. Furthermore, the participants will receive valuable assessment and evaluation from the Hardin-Simmons University women’s soccer coaching staff. This camp will take place on the Hardin-Simmons University campus. Hardin-Simmons University is a private coeducational university in Abilene, Texas. It is a member of the Baptist General Convention of Texas. It is also part of the Southern Baptist Convention. Hardin-Simmons University has an accreditation from the Commission on Colleges of the Southern Association of Colleges and Schools. It is home to around 1,600 undergraduate students and around 400 postgraduate students. The university has 7 academic divisions. They are the College of Fine Arts, Cynthia Ann Parker College of Liberal Arts, Holland School of Sciences and Mathematics, Irvin School of Education, Kelley College of Business, Logsdon School of Theology, and Patty Hanks Shelton School of Nursing. Moreover, Hardin-Simmons University is top 33 in Regional Universities West, 2018 edition of Best Colleges rankings and 18th in Best Colleges for Veterans rankings. Then in athletics, the university teams are competing in the American Southwest Conference of NCAA Division III. Leading the Hardin-Simmons University women’s soccer program is Head Coach Marcus Wood. The season is already his 18th year at the helm of the women’s soccer team. Under his leadership, the Hardin-Simmons Cowgirls has already 14 American Southwest Conference titles and ultimately a NCAA Championship. Correspondingly, Coach Wood is the 2010 American Southwest Conference Coach of the Year and also the 2010 National Soccer Coaches Association of America Coach of the Year awardee. 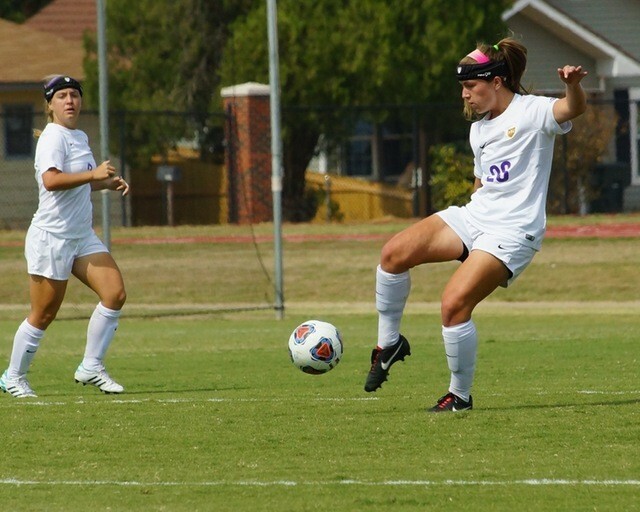 The Hardin-Simmons University Women's Soccer Prep Camp will focus on developing the participants' technical and tactical abilities.